The news out of Google is coming rapid-fire with the Nexus 5 going on sale, KitKat becoming a reality, and now the rollout of Google Play Services 4.0. The updated framework comes with a host of improvements to Google+ Sign-In, Wallet Instant Buy, Location Based Services, Maps, and comes with a brand new Mobile Ads SDK. One of the most popular features announced during Google I/O 2013 was a massively improved set of tools for Location Services, which included geofencing and substantially improved location discovery. With this update, efficiency can be further improved thanks to new settings that allow developers to limit how quickly their apps are notified about entering or exiting a geofence and if they should even be notified at all if the user only briefly passes through the area. The Maps API is also receiving additional features for controlling the opacity and fade-in effects of markers and how 3D buildings should appear. Google+ Sign-In and Wallet Instant Buy are going to see deeper integration and a simplification of the purchase flow. Users are now presented a simple consent dialog before making purchases. New Wallet objects have also been added which allow vendors to reward loyalty points for purchases made through Instant Buy. The only completely new SDK to the package is for Google Mobile Ads. The AdMob SDK for Android is being merged into Play Services to ensure Google can push updates and bug fixes without relying on developers to update their apps individually. As part of the new ad system, an advertising-specific anonymous identifier has been added to take the place of the Android ID used by most advertisers today. Users will have the option to opt out of interest-based ads or reset their identifier any time they like from within the Google Settings app. 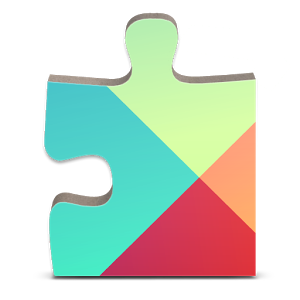 In the blog post announcing the updated framework, Google points out that over 97% of devices now run Gingerbread (Android 2.3) or above, and thus Froyo support will be abandoned with Play Services 4.0. Devices running Android 2.2 will continue to run the latest version of Play Services 3.0 (which appears to be v3.2.66) and enjoy the features that exist within that SDK, but they aren't likely to see any further updates. If you're a developer looking to get in on the fun, hit the Google Services Developer page for more details and check out the newly posted 4.4 SDK. For everybody else, the Play Services framework will roll out silently to your devices over the coming days. You can count on it, the teardown team is standing by.